Lately, almost every aspect of our lives is run by computers, from agriculture, government, health, business etc. For our children to succeed and thrive in this 21st Century , they are going to need to know how to read and write computer programs. Computer Programming fosters creativity, develops risk takers, encourages trial and error and imparts problem solving skills. These are all summed up as computational thinking skills. 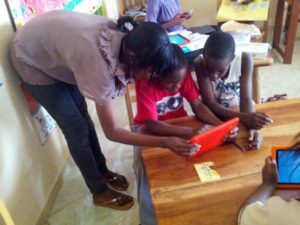 In March 2017, The TOD Idea through TechKids partnered with Kampala Capital City Authority through its education and social services department to deliver ICT lessons in 10 schools, both government and private, as a pilot. In the two terms since,over 2000 children were taught about computers and how to use them. TechKids brings the computers, in this case Tablet PCs and also provides tutors to all the schools we are involved in. This is a big cost saving by the host school and has ensured increased sign ups. The children pay as low as 20,000/= a term and interface with our tutors once a week for the duration of the term. 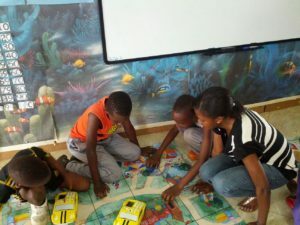 TechKids runs robotics clubs in middle to high income level schools in Uganda to spark interest in STEM among the students. 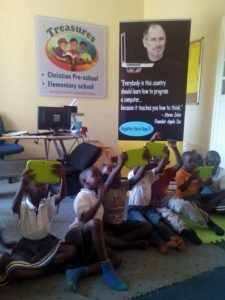 TechKids is operational in Arcons international school, Rainbow International academy, Ark School Naguru, Shekinah international school Entebbe, Kampala Junior Academy, Preschool Express Kiwatule, Happy Hearts Ntinda, Makerere view Nursery and Primary Kinawataka, Blue Bells Seguku, Mother’s Heart Kajjansi, Atlas Junior Lugoba, Mirembe Junior Namuwongo, Mbuya Parents, St Paul’s Kyebando and Nakasero Primary School. We also run weekend as well as holiday programs at our offices at Kati House in Nakasero next to Kisozi Complex.